Jackson Health System provides a full range of cardiology services, with a special emphasis on prevention, diagnosis and treatment of heart and vascular disease, including rehabilitation and research throughout Miami-Dade County. Our Children’s Heart Center is the only full service cardiology program in South Florida and one of the most advanced heart centers in the United States, providing the full spectrum of congenital and acquired cardiovascular care – from simple evaluations to the most complex procedures. The center is staffed by the University of Miami Miller School of Medicine’s child health physicians and surgeons, who are at the forefront of groundbreaking technology. To learn about the services we provide at the Children’s Heart Center, please click here. For cardiac surgery care, Jackson Heart Surgery Institute’s team of surgeons offer comprehensive care for your heart, from initial evaluation and diagnosis to non-surgical and surgical treatments, to ongoing management of chronic conditions and transplants for end-stage disease. Surgeries performed at Jackson Memorial Hospital, Jackson North Medical Center, and Jackson South Medical Center. 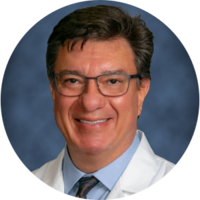 Efren Buitrago, MD, specializes in cardiothoracic surgery, peripheral vascular surgery, and thoracic surgery. 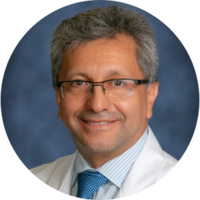 Dr. Buitrago has expertise in endovascular management of aortic disease. 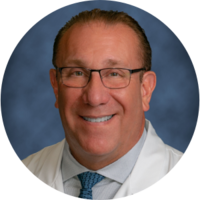 He is board certified by the American Board of Surgery and the American Board of Thoracic Surgery. Jackson Memorial Hospital, along with its academic affiliate, the University of Miami Miller School of Medicine, provides a full range of cardiac care including education, the latest diagnostic testing and treatments, including angioplasty and open heart surgery, advanced heart failure treatment and heart transplant, as well as a cardiac rehabilitation program. Jackson North offers an array of cardiovascular services including extensive diagnostic tests, diagnostic and interventional catheterization, cardiovascular surgery, interventional stenting, pacemakes and automated implantable cardioverter-defibrillator. Jackson North celebrated the ribbon-cutting for its new cardiac catheterization laboratory on December 2015. The Innova cardiovascular cath lab suite is a multipurpose system that positions Jackson North for continued growth of its cardiology program and quality of patient care. The addition of a second cardiac cath suite gives Jackson North the ability to operate two cardiac cath suites simultaneously and the flexibility to continually support our community physicians and patients. Jackson South Medical Center’s cardiac and vascular program is focused on preventing heart and circulatory system problems and improving your quality of life. Our physicians use new, state-of-the-art equipment to pinpoint potential heart and vascular problems and create an individualized treatment plan for you. Jackson Multispecialty Center located in the Health District is focused on prevention, treatment and follow-up on various cardiovascular conditions. The facility is primarily staffed with our Jackson Medical Group physicians and comprised of a network of more than 40 physicians who strive to deliver a single, high standard of health care to the Miami-Dade community. As part of Jackson Health System, our physicians practice county-wide at over 6 different specialty care centers, providing an ease of access to top quality care. To learn more about Jackson Medical Group, please click here. Our office is staffed by our Jackson Medical Group cardiology team specializing in interventional cardiology, nuclear cardiology, non-invasive cardiology, adult congenital heart disease, coronary heart disease, heart failure and many other cardiovascular conditions. Our experts are equipped to assist in the prevention and treatment of various manifestations of heart attack and stroke such as cardiac, neurological and peripheral arterial disease. Jackson South Multispecialty Center is staffed with a team of Jackson Medical Group physicians that are prepared to help you maintain a healthy heart.